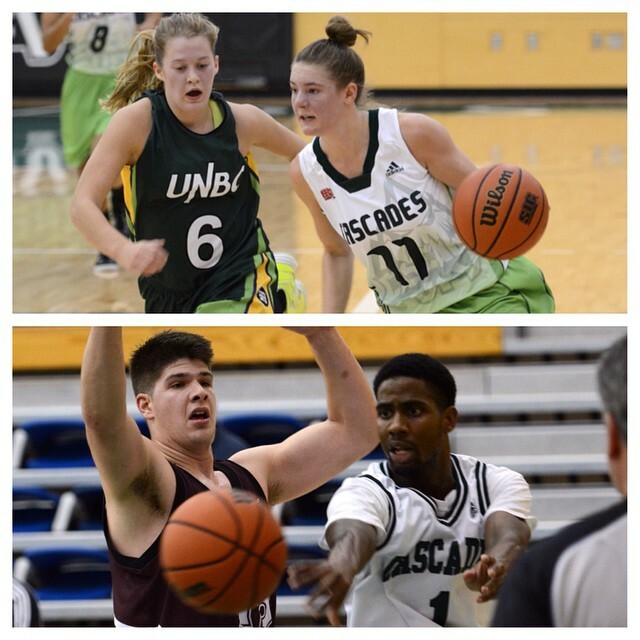 Abbotsford – After spending their high school careers on opposite sides of one of Abbotsford’s hottest high school basketball rivalries, Riley Braich and Jordyn Sekhon are joining forces this fall with the University of the Fraser Valley men’s basketball program. 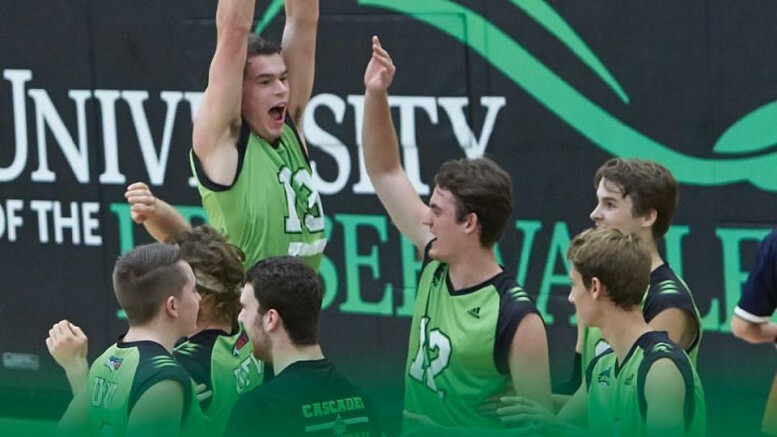 UFV head coach Adam Friesen has secured commitments from Braich, a sharpshooting point guard out of Yale Secondary, and Sekhon, a high-scoring wing from W.J. Mouat Secondary. Both are finishing up their Grade 12 years. The two players have known each other since elementary school, and grew up playing together at local camps and on club teams. “Jordyn is one of my best friends, and that’s a big reason why we both chose to come to UFV,” Braich explained. Braich and Sekhon bring the Cascades’ 2016 recruiting class to five, joining a trio of previously announced signees: Andrew Morris, Daniel Adediran and Sagar Dulay. Braich had an incredible high school career with the Yale Lions. In 2014-15, his Grade 11 year, he helped his team capture the Fraser Valley and B.C. 4A high school championships. Braich was a first team all-star at both tournaments, and averaged 29.5 points, 6.5 rebounds and 2.3 assists per game at provincials. As a senior, Braich led the Lions back to the B.C.’s, and while the team’s drive for a second straight title fell short, he averaged 35 points, seven rebounds and five assists per game for the season. He also earned all-star honours at five tournaments, including the Fraser Valleys. Braich is an outstanding shooter known for huge scoring outbursts. During his Grade 11 year, he racked up 63 points against the Sardis Falcons, breaking the Lions’ team record of 61, previously established by Adam Friesen. This season, he scored 58 points against Lord Tweedsmuir, and had 51 points against St. George’s at provincials – the fifth-highest single-game output in tournament history. “He’s arguably the hardest-working basketball player in the province,” Friesen said. “When you add someone with that type of work ethic, you’re excited as a coach. We’re happy to have him as part of our program. Braich is already very familiar with the rims at the Envision Athletic Centre – he’s spent a lot of time training with Friesen at UFV over the years. Sekhon is coming off a spectacular senior season which saw him lead the W.J. Mouat Hawks to a fourth-place finish at the B.C. 4A provincial championship and a bronze medal at the Fraser Valleys. The rangy 6’5” wing was a first team all-star at both tournaments, and averaged 24.3 points, 7.3 rebounds and 1.5 assists per game at provincials while shooting 46 per cent from the field at 37 per cent from beyond the arc. Like Braich, Sekhon is capable of scoring in bunches. He had three outings of 40-plus points this season, highlighted by a 44-point explosion against Holy Cross in the Fraser Valley bronze medal game which saw him score 35 points in the second half alone. “He’s a really talented kid,” Friesen said of Sekhon. “He had a tremendous Grade 12 season, and would probably be considered a late bloomer. We think he’s only started to show what he’s capable of. For Sekhon, the opportunity to accomplish something special in his hometown was a big part of his decision to join the Cascades. 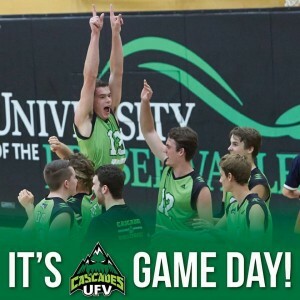 “Growing up here, I came to watch Cascades games, and you always dream of playing in your hometown,” said Sekhon, who will study engineering at UFV. “And then I heard Riley was thinking of coming here, and I’ve always wanted to play with him. That was another big thing for me. Be the first to comment on "UFV Cascades Hoops Sign Abby Standouts"